The new 2016 Lotus Evora 400 supercar will have a supercharged and charge-cooled mid-mounted 400 horsepower 3.5-litre V6 engine with 0-60 mph acceleration of 4.1 seconds to a maximum speed of 186 mph when it arrives to North America in December with a price tag of $89,900. The 2016 Chevrolet Camaro, the sixth-generation Camaro, is 200 pounds lighter and has six all-new powertrain combinations, including a 275 horsepower 2.0L Turbo that gets more than 30 mpg on the highway (GM-estimated), an all-new 335 horsepower 3.6L V-6 and a 455 horsepower LT1 6.2L V-8. Each engine is available with a six-speed manual or eight-speed automatic transmission. All Camaro models offer Brembo brakes which come standard on SS. An all-new Drive Mode Selector has Snow/Ice, Tour and Sport modes with Track settings on SS models. The Gen Six Camaro goes on sale later this year, offered in LT and SS models. The 2016 Hyundai Elantra has a 145 horsepower 1.8-liter Nu four-cylinder engine in the SE, Value Edition and Limited trims with a six-speed automatic transmission and when equipped with 15 or 16-inch wheels achieves an EPA estimated 28 city/38 highway/32 combined mpg. The Elantra Sport offers a 173 horsepower 2.0-liter Nu GDI engine mated to a six-speed automatic transmission which achieves an EPA estimated 24 city/35 highway/28 combined mpg. For the 2016 model year, Elantra has a new Value Edition that bundles 16” alloy wheels, power tilt-and-slide sunroof, leather steering wheel and shift knob, proximity key w/ push button start, heated front seats, chrome beltline molding & aluminum entrance sills, side mirror turn signals and tilt-and-telescopic steering wheel, for $1,000 in savings while Elantra Limited now comes standard with proximity key with push-button start and dual automatic temperature control for $600 in savings. The 2016 Elantra arrives in dealerships this month with a starting MSRP of $18,075 (including $825 freight). Volvo Cars has chosen Berkeley County, outside of Charleston, South Carolina as the location of its first American factory, investing up to $500 Million in a facility with a capacity to initially produce up to 100,000 cars per year. 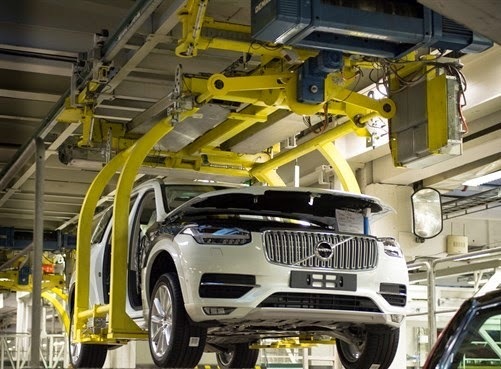 Volvo Cars estimates that the factory will employ up to 2,000 people over the next decade and up to 4,000 people in the longer term. Construction will begin in early autumn 2015, with the first vehicles expected to roll off the assembly line in 2018, adding to the existing two plants in Europe and two in China. Volvo began importing cars to the US in 1955. From 1963 to 1998 Volvo assembled vehicles in Halifax, Nova Scotia, Canada, so the South Carolina plant production beginning in 2018 marks Volvo's North American manufacturing return after a 20 year absence. Porsche Cars North America opened a new $100 million 27-acre Porsche Experience Center and headquarters at the Atlanta International Airport with a 1.6-mile driver development track, classic car gallery, restoration center, human performance center and driving simulator lab. 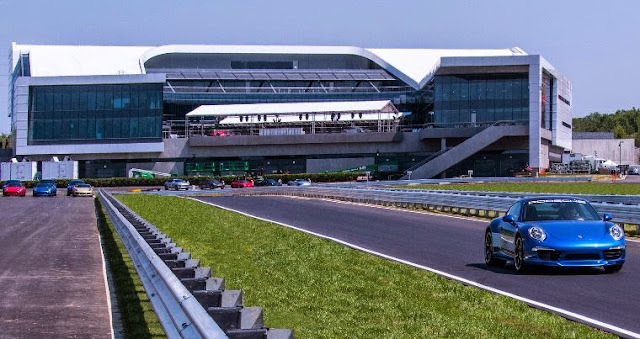 An estimated 30,000 guests are expected to visit the Porsche Experience Center each year with visitors and corporate groups able to test their driving skills, reserve meeting space, view classic Porsche automobiles or dine at Restaurant 356, named after the first production Porsche model. It's Porsche's largest investment outside Germany with ultimately 450 employees. 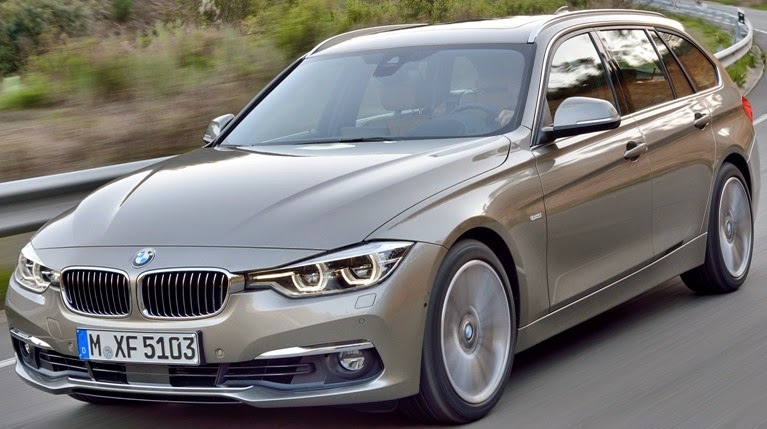 The new BMW 3 Series Sedan and Sports Wagon have an engine range of gasoline engines from 180-320 horsepower and a 180 horsepower diesel. The 8-speed Steptronic Sport Automatic transmission with steering wheel paddle shifters is now standard on 328i, 328d and 340i models and a 6-speed manual transmission is available as a no-cost option on 320i, 328i, 340i and 340i xDrive models. The all new BMW 340i has a 320 horsepower inline 6-cylinder TwinPower Turbo gasoline engine equipped with the 8-speed Steptronic transmission accelerating from 0-60 mph in 4.8 seconds while the BMW 340i xDrive model takes just 4.6 seconds. The BMW 330e, capable of travelling up to 22 miles in all-electric mode, will be powered by a plug-in hybrid drive system with a combined output of around 250 horsepower and a 0–60 mph acceleration time of approximately 6.1 (preliminary) and a top speed of 140 mph (preliminary). The new Halogen Headlight design is now available with LED daytime running lights and new for the 3 Series, full LED headlights (standard on 340i models). The Track Handling Package, available on the gasoline engine models only, consists of Variable Sport Steering, Adaptive M Suspension and M Sport Brakes with high temperature Euro brake pads mounted to blue calipers. 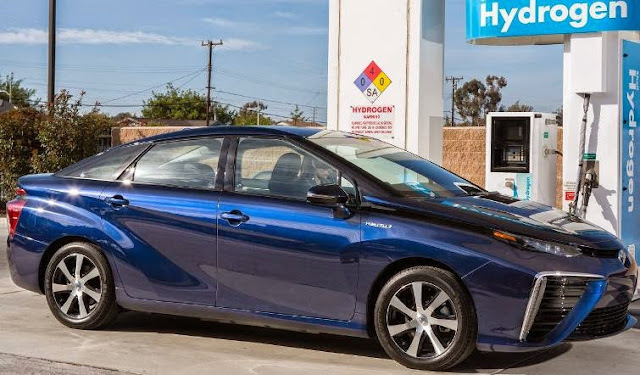 2016 Toyota Mirai, a hydrogen fuel cell electric vehicle, will be available at select Toyota California dealerships in October with orders starting this summer. Mirai U.S. sales volume is planned for approximately 3,000 units through 2017. The all-new, third generation 2016 Audi TT model line starts at $42,900 (excluding destination charge, taxes, title, options and dealer charges) for the TT Coupe 2.0 TFSI with a 220 horsepower 2.0L TFSI® engine mated to a six-speed dual clutch S tronic® transmission and the Roadster with the same engine starts at $46,400. The Audi TTS Coupe with a 292 horsepower 2.0L TFSI engine starts at $51,900. 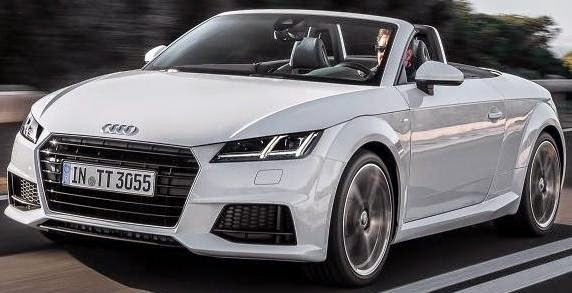 The TT will be available as coupe and roadster, and the TTS will be available as a coupe only and all models offer standard Audi drive select and quattro® permanent all-wheel drive. The available Technology package includes Audi MMI navigation plus, Audi connect® with online services, Auto-dimming / power-folding heated exterior mirrors, Parking system plus (front / rear acoustic sensors) with rearview camera, and Audi side assist. Production for the Launch Edition TTS will be limited to 75 units. Audi has an auto-brand promotional exclusive with “Avengers: Age of Ultron” that features Iron Man Tony Stark (played by Robert Downey Jr.) back in an Audi R8 while other scenes show off an Audi A3 Cabriolet and the new Audi TTS. Audi is going along for the ride with “Avengers: Age of Ultron” which captured $191.3 million, the second-biggest domestic opening weekend box office gross ever, and so far worldwide has tallied $631.1 million since April 22. 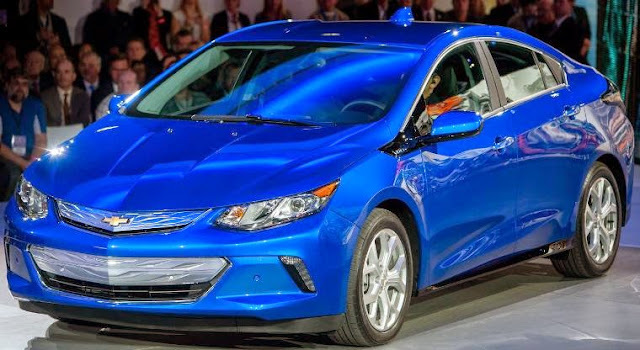 The 2016 Chevrolet Volt will start at $33,995 MSRP (including $825 destination fee & excluding tax, title, license and dealer fees), almost $1,200 less than the current-generation Volt. Pricing will be as low as $26,495 after the full federal tax credit of $7,500. (Federal tax credit can range from $0 up to $7,500.) In California, the vehicle’s largest market, residents of the state will be able to purchase the all-new Volt for as low as $24,995 after state and federal incentives. The new Volt will offer a GM-estimated 50 miles of all-electric driving range on a single charge, a 31-percent improvement over the first-generation Volt so Volt owners who charge regularly can expect to drive an estimated 1,000 miles or more between fill-ups, based on GM testing. The 2016 Volt will provide owners with fuel economy of a GM-estimated 102 MPGe (electric) and 41 combined mpg on gasoline power. The next-generation 2016 Cadillac CTS-V, equipped with a 640 horsepower 6.2L supercharged V-8 engine mated to an eight-speed automatic transmission with full manual control via steering wheel paddles, launches in late summer priced from $84,990 (including $995 destination charge). 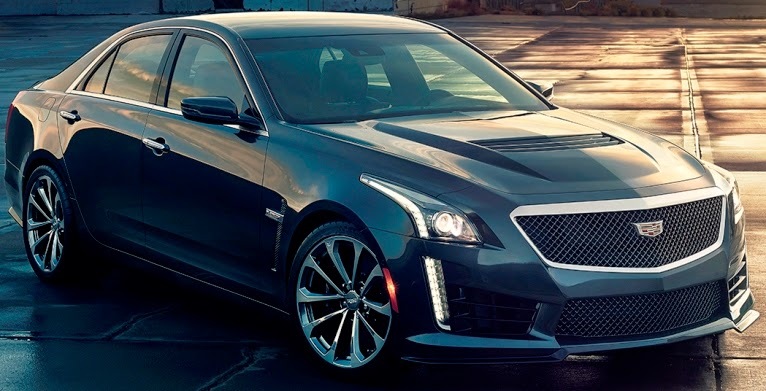 The 2016 Cadillac CTS-V has a top speed of 200 mph and 0-60 performance of 3.7 seconds. The smaller ATS-V coupe and sedan with a 464 horsepower Twin Turbo V-6 engine launch first in late spring priced from $61,460 and boasts 0-60 acceleration of just 3.9 seconds. The 2016 Jaguar XE, with a 340 horsepower supercharged 3.0-liter V6 engine linked to an eight-speed automatic transmission with paddle shift controls accelerating from 0-60 mph in just 4.9 seconds with an electronically-limited top speed of 155 mph, goes on sale in 2015 in global markets and in 2016 in the United States and Canada. General Motors' Chevrolet, Buick, GMC and Cadillac dealers in the United States delivered 269,056 vehicles in April 2015, up 5.9 percent year over year. Retail deliveries were up 5 percent, fleet deliveries were up 8 percent and commercial sales were the highest since March 2008. Year-to-date sales of 953,095 is a 5.5 percent increase of 2014. Ford Motor Company total U.S. sales in April were 222,498 vehicles sold, a 5 percent increase and its best April retail sales in nine years. Year-to-date sales of 817,161 is a 2.9 percent gain over 2014. Toyota, Scion and Lexus reported total April 2015 sales results of 203,329, an increase of 1.8 percent from April 2014. Year-to-date sales of 778,949 is an 8.1 percent gain over 2014. Lexus posted sales of 25,876, up 11.7 percent from April 2014. FCA US (Chrysler, Jeep®, Ram Truck, Dodge, Fiat & Alfa) reported U.S. sales of 189,027, a 6 percent increase compared with sales in April 2014 and the group’s best April sales since 2007. Year-to-date sales of 694,881 is also a 6 percent gain over last year. American Honda Motor reported April 2015 Honda and Acura vehicle sales of 130,068, down 1.8 percent versus a strong April 2014. Year-to-date sales of 464,011 is a 1.4 percent rise over 2014. Honda Division posted sales of 115,194 vehicles in April, a decrease of 2.7 percent for the month, and the Acura Division gained 5.3 percent on sales of 14,874 vehicles in the same period. Nissan Group announced total U.S. sales for April 2015 of 109,848, an increase of 5.7 percent over the prior year and an April record. Year-to-date sales of 477,476, up 4 percent over a year ago. Hyundai Motor America reported its best April ever, selling 68,009, a 3 percent increase compared with sales in April 2014 and year-to-date sales of 240,038 is a 6 percent gain from the same period last year. Kia Motors America April sales of 53,282 vehicles is a 0.7 percent drop from 2014 , Year-to-date sales are 194,382, up 4.1 percent from a year ago. Subaru of America reported record sales for April 2015 totaling 47,241 vehicles, an 18 percent gain over April 2014, the 14th consecutive month of 40,000+ vehicle sales. Year-to-date sales of 178,522 is a 17.9 percent gain over the same period in 2014. Year-to-date sales of 178,522 is up 17.1 percent over last year. Volkswagen of America reported sales of 30,009 in April 2015, a 2.7 percent drop from a year ago. Year-to-date sales of 109,248 is a 7.5 percent decline. Separately, Audi reported April 2015 sales of 16,827 vehicles, a 7.5 percent increase and the brand's 52nd straight month of record U.S. sales. Year-to-date Audi sales are 56,925, up 11.9 percent. Mercedes-Benz USA reported record April sales for the Mercedes-Benz brand with 29,188, up 12.8 percent from the same month last year. Sprinter posted a gain of 15.5 percent to 2,764 vehicles in April, combining with 480 units at smart for a monthly total of 32,432 for MBUSA. On a year-to-date basis, Mercedes-Benz sold 107,344 vehicles, increasing 9 percent. Adding 8,323 at Sprinter (up 18.6%) and 2,013 at smart, the company's year-to-date grand total hit 117,680. BMW Group in the U.S. (BMW and MINI combined) reported April sales of 32,428 vehicles, an increase of 9.6 percent from the same month a year ago. Year-to-date sales of 123,697 is an 11.8 percent rise over last year. Sales of BMW brand vehicles increased 6.9 percent in April for a total of 26,952 compared to April, 2014. Mazda North American Operations reported April U.S. sales of 24,123 vehicles, representing an increase of 7.5 percent versus last year. Through April, Mazda has sold 102,167 vehicles, up 1.7 percent year-to-date. Mitsubishi Motors North America April 2015 vehicle sales of 8,216 was a 25.6 percent sales increase from April 2014 for the best April sales total in the last seven years. Year-to-date sales are 32,006, up 21.3 percent from last year. Jaguar Land Rover North America reported April 2015 U.S. sales for both brands of 6,390, a 15 percent increase from April 2014. Land Rover sales reached 5,311, up 17 percent and Jaguar sales were 1,079, up 4 percent from April 2014. Year-to-date in 2015, Jaguar Land Rover U.S. sales are up 19 percent from 2014. Porsche Cars North America announced April 2015 sales of 5,217 vehicles, up 28 percent compared to April 2014. Year-to-date sales of 16,647 is a 17.2 increase from last year's first four months. Volvo Cars of North America reported U.S. sales of 4,636, holding steady compared to April 2014. Year-to-date sales remain similar to last year.